Israel’s unique relationship with God will be recognized by all the peoples of the earth during the Millennial Kingdom. They will be named the Priest of the Lord, the Ministers of God. Enmity between Israel and all other nations will be over. There will be peace, and Israel will admire the wealth, splendor, works, and talents of Gentiles the world over. 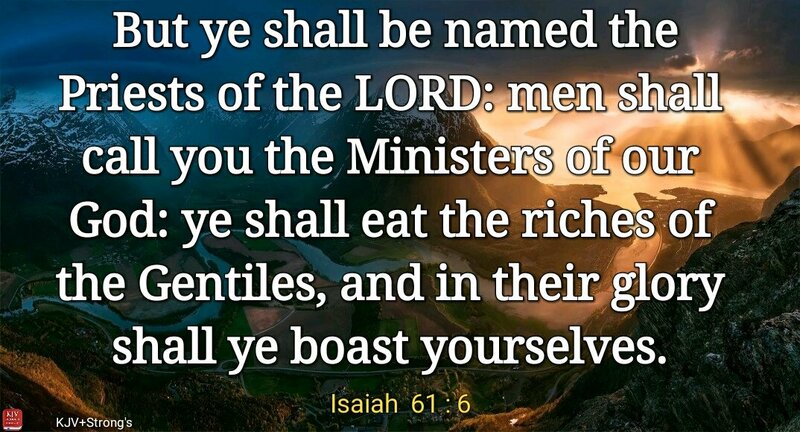 “In their glory shall ye boast yourselves” simply means that Israel will be free to admire and enjoy the riches of the Gentiles. There will be no more comparison/competition/jealousy among the Gentile nations against Israel, and Israel will no longer have to face the possibility of being attacked on all sides.